Meraki Pahadi House in Kanatal (Home Stay) offers majestic views of Himalayas and Tehri Lake. Pahadi House is developed to provide our guest a walk through the traditional houses of hills, culture, festivals and food. The secluded hill station of Kanatal provides a calm and peaceful atmosphere that can be best experienced at Pahadi House – a home stay which blends the rustic charm of a Pahadi village home with the modern lifestyle. The serenity that encapsulates the place complements the majestic panoramic view of the snow clad Himalayan peaks that is clearly visible from the vantage of the home stay. Complimentary Stay for 2 Children under 5 years. All Cottages have an attached toilet and bathroom with hot water geysers. There is a common lounge area where guests can hang out together and share their travel experiences and get to know new people. At Pahadi House you will can pluck the organic vegetables for meals, eat fruits directly from trees (during season) or visit the nearby village. Why visit Meraki Pahadi House? Meraki Pahadi House in Kanatal lets you be a part of the Pahadi culture and traditions that pervade the hills of Uttarakhand. This pet-friendly accommodation is inspired by the real village houses which offer guests a firsthand experience about living in the hills like true native. The charming setting of the home stay at Kanatal is a cherry on the cake. Perched at an elevation of 1,700 meters, Meraki Pahadi House is a beautiful home stay situated in the scenic and peaceful backdrop in Kanatal. The secluded hill station of Kanatal provides a calm and peaceful atmosphere that can be best experienced at Pahadi House – a home stay which blends the rustic charm of a Pahadi village home with the modern lifestyle. The serenity that encapsulates the place complements the majestic panoramic view of the snow clad Himalayan peaks that is clearly visible from the vantage of the home stay. Meraki Pahadi House is located in the picturesque settings of Kanatal, a serene hill station surrounded by lush greenery and blessed with a pleasant weather. 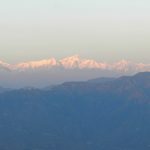 Kanatal is situated 49 kms from Mussoorie and 7 kms from Chamba. 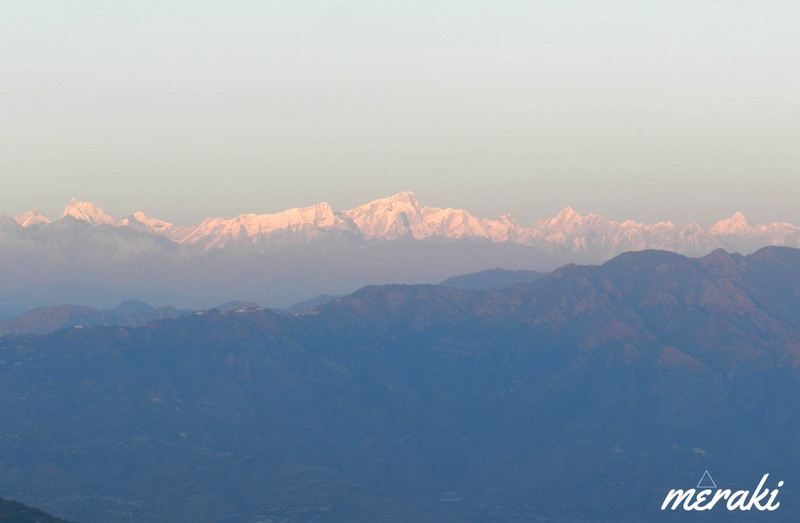 The best part – Kanatal receives snowfall in the month of December and January. There is a sign board on the Dhanaulti-Chamba Highway 6 kms from Kanatal Club Mahindra Resort, which points towards Pahadi House. You have to take uphill small road which will lead to the parking area. From parking area the Pahadi House is just 100 mts by feet. If needed our staff will come to pick up the luggage from parking area. By Road: Kanatal is well connected with motorable roads situated on Mussoorie-Chamba road. Luxury and ordinary buses to Mussoorie, Rishikesh and Chamba are easily available from ISBT Kashmiri Gate. Taxis to Kanatal are easily available from major destinations of Uttarakhand state like Dehradun, Rishikesh, Haridwar and Tehri, Chamba and Mussoorie etc. By Air: Nearest Airport is Jolly Grant Airport, Dehradun - 92 kms from Kanatal. By Train: The two nearest railway stations connected with Kanatal are Dehradun and Rishikesh located 85 kms and 75 kms from Kanatal respectively.